Saint Marcellin Champagnat, the Founder of the Marist Brothers. Marcellin Champagnat took seriously the Good News of Jesus Christ. He was a holy man who lived his ordinary life exceptionally well and did ordinary things with extraordinary love. Having discovered the joy of the gospel and letting it transform him, the founder wanted to share with others, particularly the young, all that he had seen and heard. 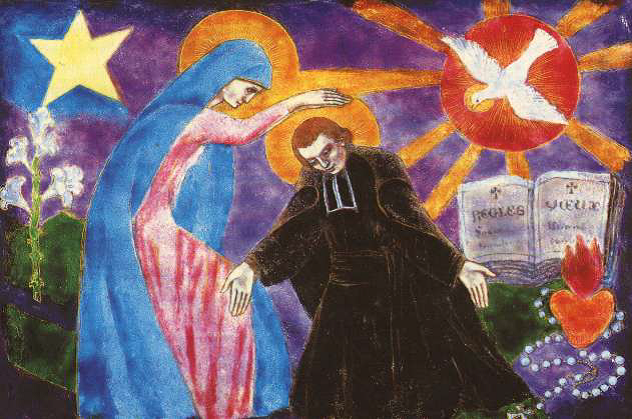 “To Love God,” Marcellin often said, “and to labour to make God known and loved – this is what a brother’s life should be.” WIth these few words, the future saint painted his own portrait and recounted his own story. His was a heart that knew no bounds.